Justin Adams teaches middle school English in Logan County, Kentucky, where he lives with his gracious wife in a quiet farmhouse, a full mile from anyone else. A recent graduate from Western Kentucky University with a BA in journalism and political science, Amira is a freelance writer, currently residing in Bowling Green, Ky. Her prior experiences include interning at the Bowling Green Daily News and MTV/CMT-Nashville. She also worked for WKU's College Heights Herald and WKU's iMedia team during her undergraduate career. Her work and studies have given her an opportunity to work internationally in Hong Kong, China and Ghana, Africa. Amira is currently perusing a MA in organizational communication at WKU. Issue 5 Poetry: "Green Yarn" and "Skin"
Ralph Angel’s latest collection, Your Moon, was awarded the 2013 Green Rose Poetry Prize. Exceptions and Melancholies: Poems 1986-2006 received the 2007 PEN USA Poetry Award, and his Neither World won the James Laughlin Award of The Academy of American Poets. In addition to five books of poetry, he also has published an award-winning translation of the Federico García Lorca collection, Poema del cante jondo / Poem of the Deep Song. Issue 3 Feature Story: "Scenic City Poets Abound"
KB Ballentine has a M.A. in Writing and a M.F.A. in Creative Writing, Poetry. Her work has appeared in numerous journals and publications, including Alehouse, Tidal Basin Review, Interrobang? !, and Touchstone. In 2006, she was a finalist for the Joy Harjo Poetry Award and was awarded the Dorothy Sargent Rosenberg Poetry Prize in 2006 and 2007. Fragments of Light (2009) and Gathering Stones (2008) were published by Celtic Cat Publishing. In 2011, two anthologies published her work: Southern Light: Twelve Contemporary Southern Poets and A Tapestry of Voices. Issue 3 Column: "Bookends and Beginnings"
Issue 5 Column: "A Midsummer in a February Night's Dream"
Chuck Beard is a thinker by trade (will think for food; food for thought if you will), people observer-questioner/mEntal note-taker by habit (self-taught mind you), and curator of meaningless words searching for a dome near you. 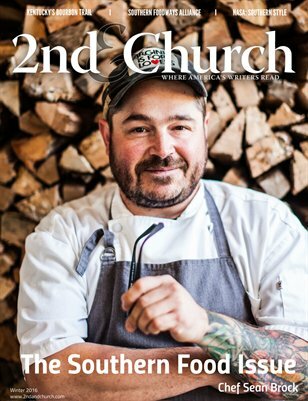 He works part-time at Oasis Center, is the editor for Number:, contributor for Nashville Galleries Examiner, a blogger, freelance writer, published author, and sole proprietor of East Side Story (Nashville's only all-local bookstore). Follow him on Twitter: @eastsidestorytn. Issue 4 Poetry: "A Man Leaves the Building"
Levi Bradford is from Sarasota, Florida and is studying economics at Covenant College in Chattanooga, Tennessee. He plays in two bands and enjoys music, dancing, laughter, and well-stoked fires. Levi hopes to see the Northern Lights this year and to be a dad someday. Issue 3 Poetry: "A poem of questions" and "How We Become"
Bill Brown just retired as a part-time lecturer at Vanderbilt University. He has authored five poetry collections, three chapbooks and a textbook. His three current collections are The News Inside (Iris Press 2010), Late Winter (Iris Press 2008) and Tatters (March Street Press 2007). Recent work appears in Prairie Schooner, North American Review, Tar River Poetry, English Journal, Southern Poetry Review, Connecticut Review, Atlanta Review, Asheville Poetry Review, and Southern Humanities Review. Brown wrote and co-produced the ITV series, Student Centered learning for Nashville Public Television. The recipient of many fellowships, he recently received the Writer of the Year 2011 award from the Tennessee Writers Alliance. Issue 3 Feature Story: "A Literary Landscape"
Kate Buckley’s poems have appeared in Bellingham Review, The Cafe Review, North American Review, Shenandoah, Slipstream, and other literary journals. She holds an MFA in Creative Writing from Spalding University and is the author of A Wild Region (Moon Tide Press, 2008) and Follow Me Down (Tebot Bach, 2009). A three-time Pushcart Prize nominee, her awards include a Gabeheart Prize and the North American Review's James Hearst Poetry Prize. Issue 4 Poetry: "Part Eden Again"
Stephanie Pickett Buckner is a graduate of Samford University and Duke Divinity School. Her poems have appeared in Byline Magazine, Time of Singing, Sacred Journey, The Penwood Review, The Poet’s Art, Ruah, SP Quill Quarterly Magazine, Pulsar Poetry Magazine, New Verse News, and Lyric. After living in many beautiful southern states, Buckner now resides in Nashville, Tennessee with husband and teaches English. Issue 5 Feature Story: "Meeting Hemingway in Pamplona"
Issue 5 Feature Story: "A Cafe Creme at the Closerie"
Issue 5 Feature Story: "Hemingway in the Pyrenees"
Robert F. Burgess grew up in Grand Rapids, Michigan and as a youth often trout-fished the same creeks and streams as Ernest Hemingway. He served with the U. S. Army Ski Troops in northern Italy. After the war he returned to Europe to study foreign languages at universities in Italy and Switzerland then completed his education in Journalism at Michigan State University. He became a Florida magazine writer/photographer specializing in sport fishing and scuba diving. Later he returned to Europe with his wife to travel and write for various magazines there and abroad. While working as a freelance writer in Spain he met Ernest Hemingway who inspired the book, Meeting Hemingway in Pamplona. Burgess' over twenty published books range from adventure novels to non-fiction books dealing with cave diving, sunken treasure, and underwater archaeology. Currently the author lives in north Florida. Elizabeth Burke is a graduate teaching assistant at Western Kentucky University. She has not authored much other than some terrific academic papers for her literature classes at Western and Campbellsville University. Though she has won a few writing contests and awards here and there, her most outstanding achievement is still her novella which she wrote and self-published with a glue stick in the eighth grade. She is currently working on a collection of short stories to put toward her master’s thesis in creative writing at Western. When she is not pouring over pen and pad, Elizabeth enjoys cooking, confiding in her two dogs, and taking leisurely strolls on Bowling Green’s Greenway with her husband. As of May 2013, Elizabeth’s last name has been changed to Garrett so she and her husband could match each other in fashion and moniker. Brenda Butka practices medicine and poetry in Nashville, where she and her husband live on an organic farm. She has had poems published recently in The Threepenny Review, The Cortland Review, Slant, Alimentum, Tabula Rasa, and The Journal of the American Medical Association, among others. Issue 5 Feature Story: "A Visit to the JFK Library Hemingway Collection"
Janice Byrne enjoys most things Hemingway. Like Ernest, she was born in Oak Park, Illinois. She belongs to the International Hemingway Society, The Ernest Hemingway Society of Oak Park, and sits on the Board of Directors of the Michigan Hemingway Society. She has spoken at numerous national and international conferences. While actively teaching she developed materials on a number of Hemingway stories for classroom use and has shared these with hundreds of other educators. Now fully retired, she occasionally submits columns on her favorite author. Issue 5 Book Review: "Processing the Art of A Farewell to Arms: The Hemingway Library Edition"
Catherine Chen studies English and Comparative Literature at Columbia University. Her primary field of study is 20th century American literature with particular interests in modernism, performance, and gender. Her scholarship aims to articulate and reveal the intersectionality of textuality, identity, and politics. Currently, she is at work on a study of Hemingway's posthumous novel, The Garden of Eden. Paige Crutcher is a wordie, writer, book addict, blogger, National Authors Examiner, and columnist for authorlink.com. Visit her articles at: http://www.examiner.com/authors-in-national/paige-crutcher or follow her on Twitter: @PCrutcher. Rebecca Cook writes poetry and prose and has published work in many literary journals. Look for recent work in Plume, Southeast Review, The Cortland Review, Grist, Stone Highway Review, and coming soon in Pank and Mayday Review. Her chapbook of poems, “The Terrible Baby,” is available from Dancing Girl Press. She teaches creative writing and literature at the University of Tennessee Chattanooga. Issue 2 Column: "The Raven"
Issue 3 Column: "The Writer's Loft"
Issue 4 Colunn: "The Living Writers Collective"
Charlotte Rains Dixon mentors entrepreneurs and creative writers from passionate idea to published and highly profitable. Charlotte is a free-lance journalist, ghostwriter, and author. She is Director Emeritus and a current mentor at the Writer's Loft, a certificate writing program, at Middle Tennessee State University. She earned her MFA in creative writing from Spalding University and is the author of a dozen books, including The Complete Guide to Writing Successful Fundraising Letters and Beautiful America’s Oregon Coast. Her fiction has appeared in The Trunk, Santa Fe Writer’s Project, Nameless Grace, and Somerset Studios and her articles have been published in Vogue Knitting, the Oregonian, and Pology, to name a few. Her novel, Emma Jean's Bad Behavior, was published in February of 2013. Special MFA Homecoming Issue Feature Story: "Spalding Abroad: A Visit to Ireland"
Drema Drudge is a recent graduate of Spalding University's MFA program. She has been published in The Louisville Review, Penumbra, and in Manchester University's Spectrum. She and her husband Barry lived in Nashville for five years nearly a decade ago, and they remember it fondly. In addition, she is a freelance writer and has published regularly with the Chicken Soup for the Soul series. Peggy Smith Duke is a freelance writer and poet living in Middle Tennessee. 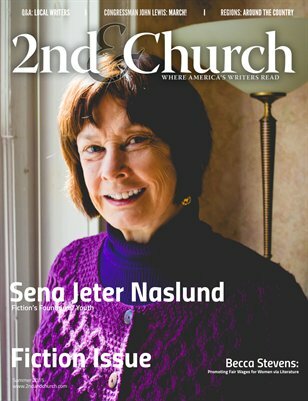 She has published broadly for over 40 years, most recently in Subtropics, Christian Woman, and Minnesota Review. Issue 2 Technical Writing Column: "Shifting Gears to Multitasking"
Issue 5 Technical Writing Column: "Writing Out Loud"
Gayle Edlin excelled in undergraduate mathematics and chemistry but floundered in graduate studies in physics. Through an unlikely sequence of employment events, Gayle made her way into technical writing where she flourished … at least on the surface. Technically satiated but creatively starving, Gayle stumbled across a writing group and seized the chance to join it. Sparks flew and before she knew it (i.e., five years later), Gayle finished her first novel, which she is now revising in preparation for seeking a publisher. Gayle also enjoys photography and takes frequent walks to indulge both this interest and her love of nature. She is seldom at a loss for words in the written form, but frequently stumbles over them in speech. J.T. Ellison is the bestselling author of ten critically acclaimed novels, including Edge of Black and A Deeper Darkness, and her work has been published in over twenty countries. Her novel The Cold Room won the ITW Thriller Award for Best Paperback Original and Where All The Dead Lie was a RITA® Nominee for Best Romantic Suspense. She lives in Nashville with her husband. Visit JTEllison.com for more insight into her wicked imagination, or follow her on Twitter @Thrillerchick. Special MFA Homecoming Issue Poetry: "Questions on the Curve of Light"
Special MFA Homecoming Issue Poetry: "Consider the Lilies"
Kate Gale is Managing Editor of Red Hen Press. She lives and writes in Los Angeles and wherever she can afford to travel. Connie Jordan Green lives on a farm in East Tennessee where, when she isn’t gardening, she writes in a small attic study. She is the author of two books for middle-grade readers, two chapbooks, and an ongoing newspaper column. Her poetry has appeared in numerous publications. Nansy Grill is a independent writer and former newspaper journalist. She has successfully completed writing courses at Stanford University. She is a published short story writer, blogger, and teaches writing workshops at a regional writing conference. Memberships include Chattanooga Writers’ Guild and Knoxville Writers’ Guild. She works as a staff accountant at a chemical company, too. Janelle Hederman has been published in AOPA Flight Training magazine, poetryrepairs, Ellipsis, The Trunk, and several other publications. She has an MFA from Spalding University and a BA in Communications and Journalism from Clemson University. She is a writing consultant and freelance writer in Middle Tennessee. Issue 2 Poetry: “Writing As No More Than Two Kinds Of Dance"
Wayne Hogan lives in Cookeville, TN. His writing and artwork can be found in numerous publications, including The Christian Science Monitor, The Quarterly, Abbey, Spinning Jenny, Light, several anthologies from Kings Estate Press, and several chapbooks from little books press. Issue 5 Feature Story: "Are You Sure Papa Done It This Way: My First Year as a Published Novelist"
Jason Hunt went to Cornell University to study writing and worked with Pulitzer-Prize winner William Kennedy on fiction. Upon graduation, he moved to Nashville to write country music, and he caught the eye of two of his songwriting heroes, John Prine and Guy Clark. After learning firsthand the difference between a songwriter and a large pizza—a large pizza can feed a family of four—Jason went back to school and earned a masters in English. From there, he went into corporate writing for companies like General Motors and Deloitte, and in the evenings he wrote hardboiled detective fiction, getting published in Hardboiled, Pulp Pusher, Plots with Guns, Beat to a Pulp, a Twist of Noir, and Yellow Mama. He has written three novels: Cold, Cold Heart and So Lonesome I Could Die (detective) and A Midsummer Night's Gunfight (western). He is currently working on a third detective novel called Didn't Hear Nobody Die, a second Western called Much Ado about Dying, and a business book (title undecided). Christine Dano Johnson lives in Knoxville, Tennessee. She is the co-editor of Far Away Literary Magazine, and has previously been published in Seeing the Everyday, The Ends of the Earth Anthology (with Heather Lende), The Knoxville Writers Guild 2011 Anthology A Tapestry of Voices, and The Friends of the Knox County Library’s Big Read. She will also be featured in the forthcoming issue 3 of Glint Literary Journal. Read more of her work at www.farawayliterarymagazine.com. River Jordan is the critically accliamed author of four Southern literary novels filled with mystery and mystical suspense. Her most recent work is the best-selling non-fiction, Praying for Strangers: An Adventure of the Human Spirit. She travels the country speaking on, The Power of Story, is a regular contributor to Psychology’s Today’s Spirituality blog, and is the host and producer of the literary radio program, Clearstory which airs from Nashville where she makes her home. Ms. Jordan is currently at work on a new novel, The City of Truth and a non-fiction book on Labyrinths. Issue 2 Songwriting Column: "Words with Music"
Issue 3 Songwriting Column: "To Write from the Heart"
Issue 4 Songwriting Column: "A Poem is not Automatically a Song"
Issue 5 Songwriting Column: "The man behind Hemingway's Whiskey"
Les Kerr is a songwriter, recording artist, and performer who merged Cajun music, blues, Rockabilly, bluegrass, and New Orleans music to create his own genre, “Hillbilly Blues Caribbean Rock & Roll.” A Nashville resident since 1987, the Gulf Coast native was born in Louisiana and raised in Mississippi. Kerr has recorded six CDs and performs his original music at concert venues, festivals, nightclubs, and special events throughout the U.S. He is also featured periodically in broadcasts, including Civil War Songs and Stories, a PBS TV documentary aired nationwide in 2012. Having earned a journalism degree at Ole Miss, Kerr is a former broadcast news director. He co-authored The All-American Truck Stop Cookbook (Thomas Nelson) and Tennessee (Graphic Arts Books), and two of his original lyrics were included in the New Orleans poetry anthology, Maple Leaf Rag IV (Portals Press). Allusions to works by authors as diverse as Hemingway, Dickens, and Hunter S. Thompson have found their way into some of Kerr’s music. Issue 2 Column: "Technology opens doors to a universe of poets"
Issue 3 Column: "Poetry and Technology, Science, and Sentiment: Yes, Virginia, there is a Large Hadron Collider"
Issue 5 Column: Rethinking Hemingway's Versatility"
Alvin Knox received his MFA in Creative Writing--Poetry from Vermont College in 1999. Currently an Instructor of English at Middle Tennessee State University, he is one the founding mentors of MTSU’s Writer's Loft program. His poems have appeared in various publications, including the Southern Indiana Review, Algonquin, Frisk Magazine, and Tar Wolf Review. Carole Brown Knuth is a native of South Carolina and received her PhD in English from the State University of New York at Buffalo. She has published widely on James Joyce, southern women writers, and multicultural women’s literature. Dr. Knuth is Professor Emerita of English at Buffalo State College, where she taught courses in Irish literature, British Romanticism, ethnic American women writers, and southern literature for thirty-four years. Now retired from academe, she is a Reiki Master Teacher and Practitioner who works primarily with cancer patients. She resides in Buffalo, New York. Kathy Lauder, who taught high school English for 30 years, has worked at the Tennessee State Library and Archives since 2003. Her work has been published in Parnassus, Potato Eyes, The Northern New England Review, Lost Coast Review, and other journals. She authored the website, "This Honorable Body" at http://tn.gov/tsla/exhibits/blackhistory/index.htm and is a frequent contributor to The Tennessee Conservationist. Tina LoTufo is a contributing writer for Chapter16.org who lives in Chattanooga, Tennessee. Issue 5 Feature Story: "To Have and Have Not: Truth and Fiction in Hemingway's Key West Home"
Issue 5 Documentary Review: "Exploring a Famous Friendship Opens Door to an Era of Very Different Fame"
Molly McCaffrey is the author of the short story collection How to Survive Graduate School & Other Disasters, the co-editor of Commutability: Stories about the Journey from Here to There, and the founder of I Will Not Diet, a blog devoted to healthy living and body acceptance. She received her Ph.D. from the University of Cincinnati and has worked on films with Academy Award winner Barbara Kopple and World War Z author, Max Brooks. Nominated for three Pushcart Prizes, an AWP Intro Journals Award, and Scribner’s Best of the Fiction Workshops, she currently teaches at Western Kentucky University and works for Steel Toe Books in Bowling Green, Kentucky. Jim McGarrah’s poems and essays appeared recently or are forthcoming in And Know This Place: Poets of Indiana, After Shocks, Poems of Recovery, Bayou Review, Breakwater, Connecticut Review, and North American Review. He is the author of two award-winning books of poetry (Running the Voodoo Down and When the Stars Go Dark), a memoir of the Vietnam War (A Temporary Sort of Peace), which received the 2010 Eric Hoffer Award for Legacy Nonfiction, and was a finalist for the Montaigne Medal. 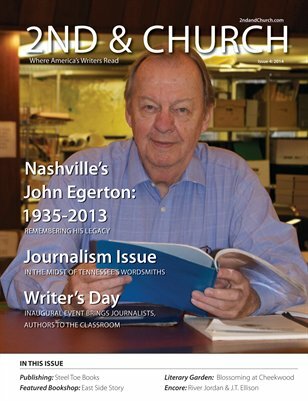 His newest book of nonfiction, The End of an Era, was released by Ink Brush Press in February of 2011. Tess Melete began college at age 14 and holds degrees in various subjects, including an MA in English from Belmont University. She was the 2006 recipient of The Red Mud prize. She travels internationally as a mathematical logician and systems architect, building financial systems for the world's largest banking and technology companies, then comes home to the tiny steamboat ghost town of Granville, TN and her 200-year-old Falling Star Farm, overlooking the lake, where she strives to protect endangered heritage breeds like the Tennessee Fainting Goat and plants like the Southern Lady's Slipper Orchid. But above all her occupations, she considers the opportunity to write about life's beautiful struggles her greatest privilege and honor. Amanda Moon is a writer, jewelry designer, and Pilates instructor. She has a Certificate in Creative Writing from Middle Tennessee State University and a Bachelor’s in Business Administration from Belmont University. Articles she has contributed to radiantmag.com, pilatesdigest.com. Excerpts from her current works-in-progress, along with links to her jewelry and Pilates pages, may be found at her Web site. Linda has taught on the faculties of Eastern Michigan University, Iowa State University, and the University of South Alabama. She is the author of two college-level textbooks. Her novel, Seven Laurels, won the James Jones First Novel Award and the Langum Prize for Historical Fiction. She has published short pieces in Writer’s Digest, Big Muddy, and Confluence. Linda has served as editor and publisher of Mobile Bay Monthly and as publisher of Excalibur Press. She has reviewed books for The Mobile Press Register, the Alabama Writers Forum, and the San Diego Union Tribune. She has been a fellow in fiction at Bread Loaf and a Tennessee Williams Scholar in fiction at the Sewanee Writers Conference. Joseph Petree is a native of Newport, Tennessee. He has a degree in Electrical Engineering from Tennessee Technological University and is a retired engineer/contractor. He and his wife, Jean, live in Signal Mountain, Tennessee. They have two children and two grandchildren in the Boston area. 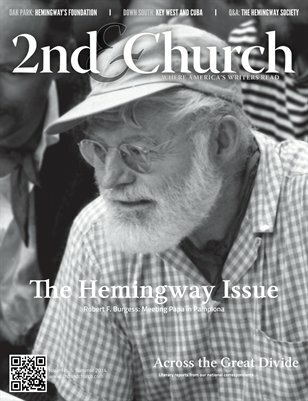 He is an elder at Signal Mountain Presbyterian Church and a member of Chattanooga Writers Guild and the Hemingway Society. His first publication, Mountain Remembrances, was a non-fiction article on the early days on Walden Ridge and the town of Signal Mountain, north of Chattanooga, Tennessee. The article was published in the Chattanooga Area Historical Journal, Vol. 13, Number 2, in the winter of 2010. His novella, Just The Way He Is, is a work of fiction inspired by a true story. His short story, “Once Upon a Train,” was published in August 2012 in the Signal Mountain Mirror. David Pierce is the writer of Don’t Let Me Go, by Waterbrook Publishing—a memoir about climbing mountains with his daughter. His new book To Kill A Zombie by Leafwood Publishing came out in January of 2012. He currently teaches English at Motlow Community College in Smyrna, TN and Middle Tennessee State University in Murfreesboro. Gregory Plemmons graduated from Wofford College and the Medical University of South Carolina. His fiction has appeared in Best New American Voices, The Yalobusha Review, and Yemassee. He was awarded the Barry Hannah Prize for Fiction in 2008 and received his Masters of Fine Arts from Bennington College. He currently practices and teaches pediatrics at the Monroe Carell Jr. Children's Hospital at Vanderbilt University in Nashville, Tennessee. He is currently at work on a novel. Mary Popham is a lifelong Kentuckian whose fiction, nonfiction, poetry, essays, and book reviews have appeared in the Courier-Journal, ForeWord Reviews, Appalachian Heritage, and The Louisville Review. She has produced short plays and published short stories in anthologies, holds an MFA in Writing from Spalding University, and is an active member in two Louisville writers groups. In the fall of 2013 she will have an essay published in This I Believe: Kentucky; and in 2014 will have a novel published by MotesBooks. She is currently writing a collection of short fiction. Terry Price is a Tennessee writer, born in Nashville, about a half of a block from where he currently works. He has his MFA in Creative Writing from Spalding University in Louisville and is a mentor in, and Director Emeritus of, The Writer’s Loft creative writing program at Middle Tennessee State University. His work has appeared in the online magazine NewSoutherner.com and in their print anthology, Best of New Southerner, as well as in Writers Notes magazine, the online journal BloodLotus, and the Timber Creek Review, and he has had a story nominated for a Pushcart Prize. Issue 4 Feature Story: "The Head of the Table: Remembering the late John Egerton, who loved the South as fiercely as he fought its injustices"
Margaret Renkl grew up in Homewood, Alabama, and was educated at Auburn University and the University of South Carolina. As a writer she has published widely in both literary and mainstream magazines, including The Southern Review, Shenandoah, Black Warrior Review, Ladies’ Home Journal, Good Housekeeping, Health, Parents, CNN.com, and iVillage.com, among others. 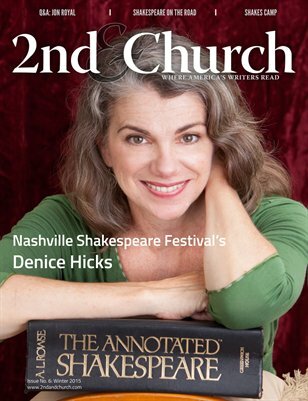 She joined Humanities Tennessee in 2009 as editor of Chapter16.org, a daily source for literary news, author interviews, and book reviews with a Tennessee focus. Issue 2 Feature Story: "Mysteries & More"
Issue 3 Feature Story: "Reading Rocks Dickson"
Issue 5 Feature Story: "Yoeman's Effort a Labor of Love for Cotter"
Suzanne Craig Robertson has been editor of the Tennessee Bar Journal, a statewide legal publication, for more than two decades. In the course of this work, she has written about members of the state and federal judiciary, recovering alcoholics and drug addicts, lawyer-missionaries, low-income people in need of legal services and those who helped them, pioneer women who broke through glass ceilings, and more. She received her bachelor’s of science degree in communications/public relations from the University of Tennessee at Knoxville, a certificate in creative writing from The Writer’s Loft at Middle Tennessee State University, and has been a workshop participant at the Mayborn Literary Nonfiction Conference in Grapevine, Texas. Issue 3 Column: "Le Petit Prince"
Born in Paris (12e arrondissement), Renaud lived there until he was six years old. Then, he moved to Orléans, where he lived until he boarded the plane that took him to Clarksville, Tennessee. After graduating from the University of Orléans, he finished a bachelor’s degree at Austin Peay State University in Foreign Languages with a minor in Business. He accepted a French translation and technical writing position in Clarksville in 2006 and works there today, editing manuals, publishing literature, updating websites, validating literature translated into French, and reviewing safety messages. Recently, he was promoted to Technical Writer II. 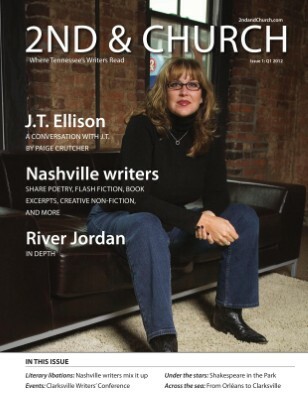 Issue 5 Column: "Burkhead, 2nd & Church at Forefront of Writing Renaissance in Nashville"
In 2000, Julie Schoerke founded JKSCommunications, a book publicity firm in New York, Chicago, Nashville, and Denver. The firm represents traditionally published books with “The Big Five” and is the publicity firm of record for several boutique-publishing houses, and it sometimes publicizes hybrid and self-published books. JKSCommunications is proud to represent books that have received scores of awards and several who have become New York Times best-sellers. Julie speaks nationally about book promotion and the changing tides of the book industry including appearances at University of Chicago, Decatur Book Festival, Oxford Creative Non-Fiction Workshop, Highlights Foundation, Southern Festival of Books, Alabama Book Festival, and others. She also is a frequent guest on radio programs to discuss literary topics. A veteran of three Space Shuttle flights, Dr. Rhea Seddon spent 19 years with the National Aeronautics and Space Administration (NASA). In 1978 she was selected as one of the first six women to enter the Astronaut Program. She served as a Mission Specialist on flights in 1985 and 1991 and as Payload commander in charge of all science activities on her final flight in 1993. This brought her total time in space to 30 days. After leaving NASA in 1997, Dr. Seddon was the Assistant Chief Medical Officer of the Vanderbilt Medical Group in Nashville, for 11 years. There she led an initiative aimed at improving patient safety, quality of care, and team effectiveness by the use of an aviation-based model of Crew Resource Management. Now with LifeWings Partners, LLC she teaches this concept to healthcare institutions across the United States. A graduate of the University of California at Berkeley with a degree in physiology, Dr. Seddon received her MD degree from the University of Tennessee College of Medicine in Memphis, where she completed her residency in General Surgery. 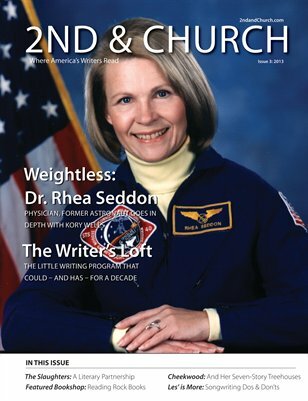 Rhea Seddon lives in Murfreesboro, Tennessee with her husband and fellow astronaut Captain Robert “Hoot” Gibson and their children. Issue 5 Feature Story: "Across the Sea: Hemingway's Cuba"
Stone Shifltet has a Ph.D. in English from the University of South Florida. Her scholarly work keeps her busy. She has attended over 50 academic conferences in a variety of specializations, and she works to attend at least three academic conferences per year involving Florida studies, writing programs, and Hemingway Fitzgerald scholarship. Kathleen Thompson holds an MFA in Writing from Spalding University. Most recently a poem was published in the 2015 poemmemoirstory. Her poetry chapbook The Nights, The Days won the 2008 Negative Capability Press Chapbook Award. The Shortest Distance, 2009, was nominated for the National Book Award. Kathleen has two novels and a collection of stories in manuscript. “Nesting,” is currently published in www.waypointsmag.com. “Finding the Lord,” was nominated for a 2009 Pushcart Prize. She published at least seven essays (and many blogs) in WELD magazine in 2011/12. Her current writing projects include a series of linked stories whose protagonist is a crack addict, and a memoir in essay format. Michael Turner earned a Masters of Arts in English in 1995 from Austin Peay State University. Since 1999, he has worked at Tennessee State University as a computer lab manager, writing tutor, and scholarship coach. He believes that people should be able to go to college without massive amounts of debt and maintains the Tiger Scholars blog for that purpose. Since 2004, Michael Turner has headed the Nashville Writers Meetup (NWM). With about sixteen different writing groups (everything from nonfiction to novelist to poetry to blogging) meeting under its umbrella, the Nashville Writers Meetup currently has about 1,200 writers. Issue 2 Book Review: Don’t Forget This Song: Celebrating the Carter Family and Other Roots, by Carole Knuth, Tennessee Poet Laureate Maggi Vaughn, Kelsey Wells, and Kory Wells. Click here to learn more about Matt. 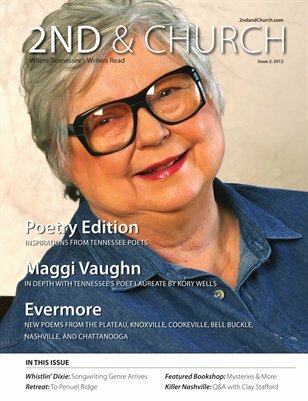 Issue 2 Poetry: “The Computer Triangle” and "Constipated Minds"
A resident of Bell Buckle, Tennessee, Maggi Vaughn has been Poet Laureate of Tennessee for over 15 years. She is the author of fourteen books (and counting! ), her first book being published by The Tennessean in 1975. She has written the official Bicentennial Poem of Tennessee and the official poem commemorating the Tennessee state quarter. Vaughn is the writer of the gubernatorial inauguration poems for Gov. Sundquist, Gov. Bredesen and Gov. Haslam. Maggi penned the 50th Anniversary Commemorative Poem for U.S. Air Force which was read into the Congressional Record of Washington, D.C. In addition to her poetry, Vaughn has written plays produced by The Barn Theatre in Nashville, The National Quilters Convention, The Galt Theatre, and many other venues. In 2007, she received The Literary Award from the Germantown Arts Alliance chosen from writers all over the South and Southeast. Former winners include Eudora Welty, John Grisham, and Shelby Foote. She represented Tennessee at the First National Poets Laureate Conference in New Hampshire in 2003 and was quoted in the New York Times coverage of the event. She has represented Tennessee in other national Poet Laureate conventions. Vaughn‘s books have been taught in colleges and universities as well as in elementary, middle, and high schools across the country. She has made a major contribution to education by teaching teachers and students, from kindergarten to the university graduate level, and in giving in-services for educators throughout the country. She has traveled several hundred thousand miles throughout Tennessee and America as Poet Laureate. Vaughn received the Governor’s Award as an Outstanding Tennessean in 2003. Her poems have appeared in magazines, literary journals, and newspapers, and have been read on nationwide television and radio shows including National Public Radio. She’s been published in journals such as The Thomas Wolfe Review, The Distillery, Alcalines of Radford University, The Elk Review, The Tennessee English Journal, and several journals at MTSU. She has been included in anthologies such as The Other Side of Sorrow and Southern Voices in Every Direction as well as in other national publications and articles. Vaughn was quoted in Ted Turner’s nationwide book on country music. Vaughn was the subject of a historical 2 CD set called “A Southern Voice”, a compilation of her original readings which was highlighted on PBS nationwide in 2006. She has appeared on Tennessee Crossroads, The Arts Break, A Century of Country Music on CBS, Ted Turner’s national TV documentary about country music and numerous other TV and radio shows throughout the U.S. In addition, Vaughn is a well known country music songwriter whose songs have been recorded by Loretta Lynn, Conway Twitty, Ernest Tubb, Charlie Louvin, and other legendary stars. In fact, Vaughn was asked to write a poem for the funeral of Jeanette Carter, daughter of A.P. Carter who is well known as the Original Song Catcher of historical country music. Julia Watts is the author of the Lambda Literary Award-winning young adult novel Finding H.F. (reprinted by Bella Books, 2011), the Lambda Literary Finalist The Kind of Girl I Am (Spinsters Ink, 2007), and the Spirits series of middle-grade novels (Beanpole Books). She lives in Knoxville and teaches at South College and in Murray State University's low-residency creative writing program. Issue 2 In Depth Interview: “Brown paper sacks and other outlets for creativity: A conversation with Tennessee Poet Laureate Maggi Vaughn"
Issue 3: In Depth Interview: “Her Amazing Journey: A conversation with doctor, astronaut, and memoirist Rhea Seddon"
Kory Wells is author of the poetry chapbook Heaven Was the Moon (March Street Press). She often performs her poetry with her daughter Kelsey, a roots musician, in an act that’s been called "bluegrass rap” and "hillbilly cool.” The Murfreesboro duo’s first CD will be out later in 2012. Kory’s novel-in-progress was a William Faulkner competition finalist, and her “standout” nonfiction has been praised by Ladies’ Home Journal. Her work appears in numerous publications, most recently Christian Science Monitor and Deep South Magazine. Candace White is a mountain girl born at the foot of the Blue Ridge in North Carolina. She grew up near a cotton mill town on her Granny’s farm where stories and the tellin’ of them were Saturday night entertainment in the front yard as the sun set and the cool air, soft with the scent of flowers, crept from the pine woods. A chorus of tree frogs from down at the creek provided a background cadence to the spoken words of relatives and friends who had just stopped by for cake, coffee and visitin’. In this place of mountain laurel and bubbling creeks that sprang from artesian wells, a mountain child with bare dirty feet learned to live in the world. Candace tells this story in her creative non-fiction novel that is nearly complete and refers to it often on her blog and in her cookbook that shares the food and wisdom that she inherited from the women who raised her up. Issue 5 Feature Story: "Hollywood's Most Glamourous Destination for Writers"
Issue 5 Feature Story: "Louisville's InKY Reading Series Invites You to Listen"
Katy Yocom’s fiction, poetry, essays, and journalism have appeared in publications including The Louisville Review, New Southerner, Open 24 Hrs, Louisville Magazine, LEO Weekly, and Food & Dining Magazine. She has received grants from the Elizabeth George Foundation, the Kentucky Foundation for Women, and the Kentucky Arts Council and has completed writers’ residencies at ISLAND Hill House (Michigan), the Kimmel Harding Nelson Center for the Arts (Nebraska), Hopscotch House (Kentucky), and the Mary Anderson Center (Indiana). She is Associate Administrative Director of Spalding University’s brief-residency MFA in Writing Program and is a graduate of the program. She is at work on a novel. Ray Zimmerman is the Executive Editor of Southern Light: Twelve Contemporary Southern Poets and a former president of the Chattanooga Writers Guild. He produces poetry readings and spoken word events in Chattanooga Ray was the subject of a feature article in Blush magazine.